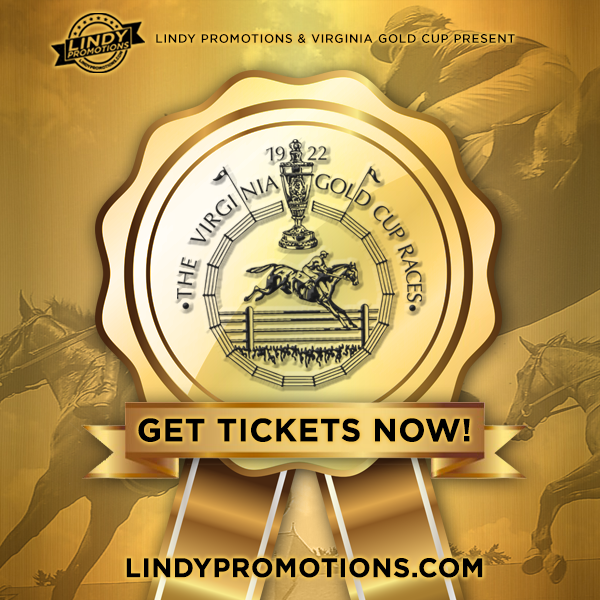 Enjoy a day at the races with Lindy Promotions and the Virgina Gold Cup! Grab your derby hat and climb aboard this Saturday, May 4th because Lindy Promotions is at the wheel to present the Official Virginia Gold Cup Bus Trip. Your chance to celebrate the time-honored steeplechase in high-end camaraderie, tickets to this booze-infused field trip include roundtrip travel aboard a luxury bus liner, complimentary entry into the Virginia Gold Cup Race grounds and a full day of BYOB tailgate indulgence that will leave you feeling victorious, regardless of which horse crosses the finish line first. Taking the hassle out of race day parties with two conveniently located bus stop bars in DC and Arlington, this luxurious road trip from Lindy Promotions sends you off to the races in golden style. Furthermore, those looking to commemorate the occasion from the comfort of the winner’s circle are encouraged to join us before we hit the road for a pre-party breakfast. Most simply, place your bets on a sure win this year by reserving seats aboard the Official Virginia Gold Cup Bus Trip, the new classic in race day revelry.